Looking for a quick, fun and stylish project? Here it is! 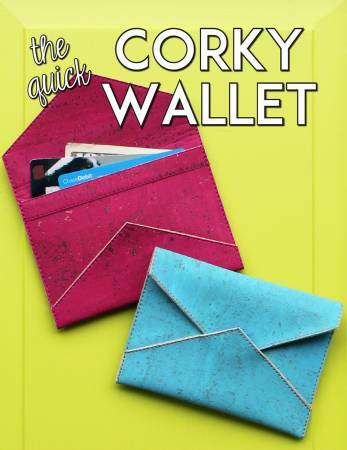 The Quick Corky Wallet is an enjoyable pattern that puts that new fun cork fabric to work! These little wallets aren't only cute, they are functional. Finishing at 5in wide and 3-1/2in tall, there is enough room for a few credit cards, your ID and some cash. No fancy hardware or techniques need to make the Quick Corky Wallet!